This supermassive black hole has been ejected from the center of its host galaxy. 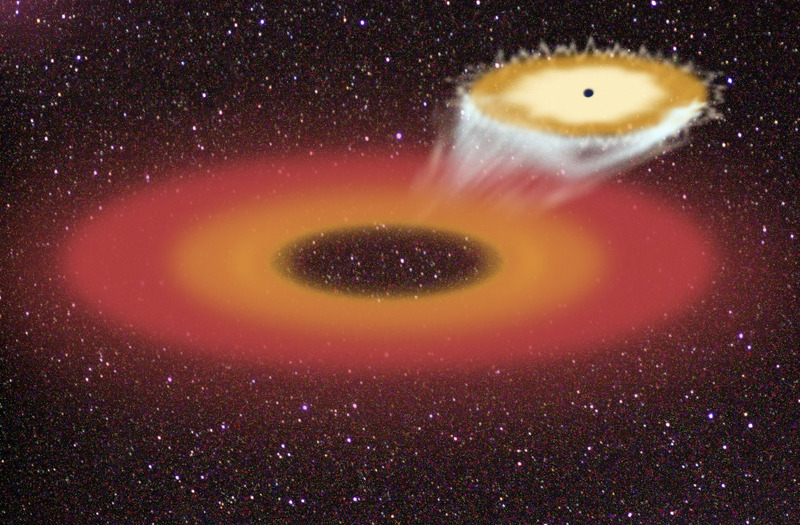 The black hole drags part of its surrounding accretion disk along for the ride. Some of the material lags behind, then catches up, crashing into the moving disk and producing a powerful burst of X-rays. Credit: Tim Jones/McDonald Observatory.